Purpose of the Awards is to encourage African Islamic financial institutes. 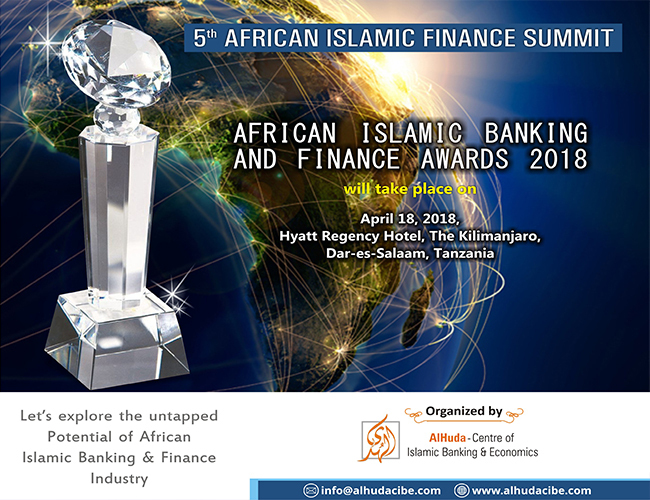 (April 13, 2018 (Dubai)): AlHuda Centre of Islamic Banking and Economics (CIBE) is going to organize African Islamic Finance Awards at Dar e Salam Tanzania on April 18, 2018. The awards will be given to the prominent stakeholders of African Islamic financial industry. 15 awards categories include Best African Islamic Bank, Best Takaful Company, Best Islamic Microfinance Bank, Best Shariah Advisor and Life Time Achievement Award. While talking about African Islamic Finance Awards, organizer of the awards, CEO AlHuda CIBE Mr. Muh. Zubair Mughal said that Islamic finance industry is rapidly growing all over the world and total volume is exceeding from 2.6 trillion dollars. Africa is a prominent growing marketing of Islamic finance in comparison to the rest of the world and Nigeria, Mauritius, Tunisia, Tanzania, South Africa, Kenya, Senegal and Egypt are prominent countries. He said that according to a credible source, Islamic finance is rapidly growing in more than 35 African countries with all zeal and zest. 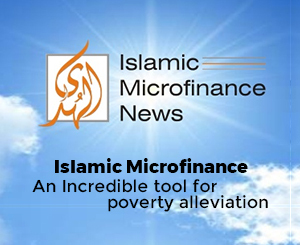 Many African countries have made specific Islamic laws to implement Islamic finance to implement and to grow Islamic banking and finance accurately. This initiative can attract Foreign Direct Investment (FDI) and can help in poverty alleviation and socio-economic development. He further added that more than 50 Islamic financial institutions had applied in various award categories and 15 institutions have been finalized in various categories after a strict process. The award ceremony is the part of African Islamic Finance Summit to be held on April 17 – 18, 2018 in which delegates from more than 25 countries will take part. It is important to note that AlHuda CIBE is working globally for the promotion of Islamic banking, finance, advisory, consultancy, product development, distance learning, and training and workshops.